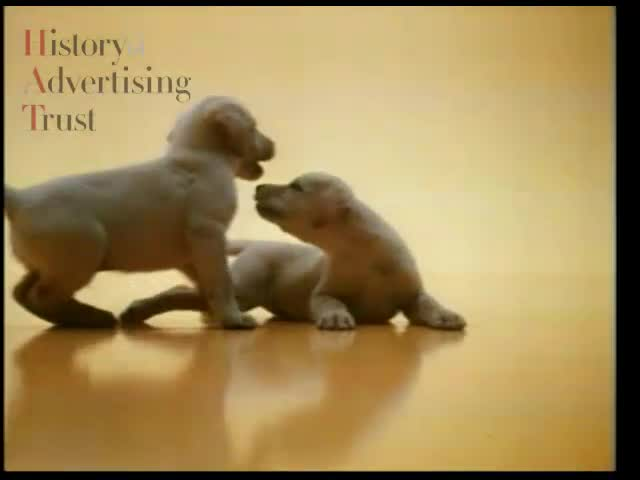 Description: Two Andrex puppies play against a soft yellow background. Billowing rolls of Andrex gets the dogs tangled up. They tug at the paper with their teeth.